Want a fast, reliable and no restrictions VPN that offers excellent features? Then SurfShark VPN is the one for you! SurfShark is a relatively new VPN in the market but is quickly becoming the most popular one, courtesy its speed and the features provided. It is a super-fast VPN with focus on excellent user experience and offers unlimited simultaneous connections with a high degree of security at a modest price. With SurfShark VPN you can connect unlimited devices to one account simultaneously. Also, the VPN supports all major operating platforms like Windows, Linux, MacOS, iOS, Android, and also has extensions for Chrome and Firefox browsers. Using the VPN makes sure that your location is private and your sensitive data is secure at all times. It also offers a great browsing experience with no ads, trackers, malware and phishing attempts. It is one such VPN which is gaining credibility for its stellar performance as they have put their services through an independent security audit by a third party, a renowned security firm, Cure53 which has given out excellent results. Provides CleanWeb browsing experience with no ads, trackers, malware and phishing attempts. Unlimited devices – connect and use all your family devices simultaneously. White list specific apps and websites to bypass the VPN. Follows a strict no-logs policy. Provides an automatic Kill Switch in case the VPN drops. High security with private DNS and leak protection. Provides camouflage mode that keeps you private always. MultiHop feature for ID protection and footprint masking. Works in restrictive regions with the NoBorders mode. Protects privacy by IP Masking. Uses industry leading AES-256-GCM encryption. Uses IKEV2/IPsec as the default protocol. Has gone through independent security audit by Cure53. 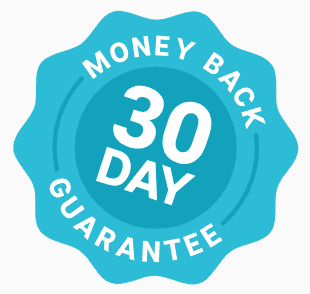 Provides 30-day money back trial. Features listed above are more than enough to suggest that SurfShark is an excellent VPN. Stemjar team has further evaluated this VPN’s effectiveness on the eight most important factors so that we can provide you with an honest review. SurfShark is an incredibly fast VPN service. It runs on the latest security technologies that will not let you feel any difference in the internet speed. Streaming video content without buffering and gaming experience without any lag is possible with the SurfShark VPN. We need to remember that since it is a new service, there are less number of servers around 500+ in about 50 countries, which is low as per the competition. However, since the user base is still not too huge, they can manage high speeds. However, it would be interesting to observe if the speed can be maintained over the years with a growing user base. 2. Does SurfShark work with Netflix and other Geo-restricted websites? One of the main reasons for using a VPN is to watch streaming services like NetFlix, Hulu, YouTube, etc while on the go. But unblocking Netflix is not that simple as the streaming giant has been upping its game by building on its firewalls. However, SurfShark has been tested successfully in unblocking content on streaming devices such as NetFlix, BBC iPlayer, Torrents, etc. It also helps bypass geo-restrictions on websites and provides a NoBorders mode that helps to successfully browse all content on the Internet by using SurfShark in restricted regions. Performance is crucial to the reliability of any VPN in the market. SurfShark, has no problems with its performance as of now, as it’s user base is still not overwhelming. The company currently has 500+ high-speed servers across 50 different countries. It has ramped up from 100 to 500+ servers in a short span though not close to the larger VPN’s which have close to 3000 or 5000 servers. Though there are only 500+ VPN servers but the noteworthy fact is that all are physical servers and not virtual ones and are not shared with any other providers. And so it guarantees better performance and speed. SurfShark has managed to eliminate the usual performance issues one encounter while using a VPN, such as slow and unreliable connections that result in lag and buffering. It is also providing unlimited simultaneous connections with unlimited speeds and bandwidth. What it means is that with a single paid account one can connect to all the personal devices and home devices without any extra cost. Server switching, using SurfShark, is easy and usually connecting only takes a few seconds. The users are provided with a MultiHop list, aside from the regular server list, to choose a server pair for a double VPN connection. Security is one of the reasons along with anonymity for building a VPN. Security is one thing you can be sure about SurfShark because it uses IPv6 leak protection and WebRTC protectionWebRTC (Web Real-Time Communication) leak, is an issue often attributed to VPN’s though it is a vulnerability associated with the browsers. The WebRTC leak occurs when the real IP address of the system is exposed by the STUN requests to the browsers even when using a VPN. This issue is usually addressed at the root level by fixing the browser, as there are very few VPN’s that provide protection against WebRTC leaks, SurfShark being one of them. along with a zero-knowledge DNSIt uses zero-knowledge DNS, meaning your personal data is never stored on any server thereby leaving little or no room for security breaches. , which leaves no cracks for potential security breaches. It uses the industry-leading AES-256-GCM encryption. It supports the IKEV2/IPsec as default protocol on all apps but also enables users the option to use OpenVPN. The Company is based in the British Virgin Islands and follows a zero logging policy, i.e., they neither monitor, track or store your online activity. 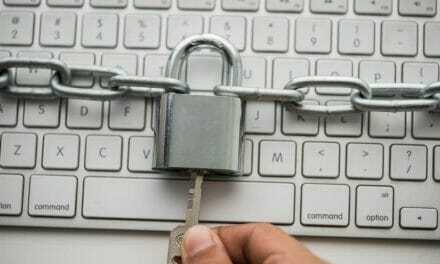 The VPN does not keep traffic logs, does not collect IP addresses, browsing history, session information, used bandwidth, network traffic, and any other such data. SurfShark helps provide a great surfing experience with its CleanWeb feature that has no ads, trackers, malware and phishing attempts. SurfShark protects your privacy by masking your IP address, so it is impossible to link your online activity via IP detection, which can make you as anonymous as you can be. It provides a kill switch that can be used to disconnect the device from the internet in case of VPN failure to prevent any online activity without proper protection. It is a feature that can be either turned on or off in the settings. Whitelister is another security feature that enables users to whitelist certain apps or websites to bypass the VPN. This feature can also be controlled in security settings. In addition to the above mentioned, SurfShark has its private DNS on each server, and the ability to use a double VPN hop that covers yours tracks pretty smartly. It also has a camouflage mode that makes sure that even the internet service provider remains clueless about the VPN being used. Using SurfShark is very very easy. The VPN has dedicated apps for Windows, Mac, Linux, Android, iOS, Amazon Fire and browser extensions for Chrome and FireFox. All the apps are lightweight and easy to install and configure. It can be manually configured to work with other devices such as BlackBerry. It can also be configured to work with Kodi and routers that support VPN. 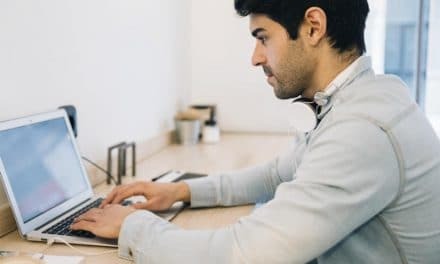 The VPN can be used to connect to an unlimited number of devices at the same time thereby allowing users to protect every possible device in the household with a single account. The company provides a friendly customer support team 24/7 who can be reached via email or support tickets or live chat on the official website. The Help section on the SurfShark’s website is quite handy and provides enough information in the form of user guides, setup guides, manual configurations, tutorials for different platforms, in addition to FAQ’s. The company offers various pricing plans for different periods, i.e., one month, yearly and two years. The monthly pricing at $11.95 seems slightly overpriced than the competitors, while the yearly plan is costing the user just $5.99 per month and the two-year package which comes at just $1.99, is the lowest price in the market. Also, it is worth mentioning that all plans include the CleanWeb, Whitelister, MultiHop, and KillSwitch features. The only drawback is that the company offers a full-fledged free trail only on iOS for seven days. It would be good to include a free trial to all apps and platforms to make as many people use its services as they can know more about the features it has to offer. However, the company also offers a 30-day money back guarantee and various payment methods including cryptocurrencies. 8. What do others say about SurfShark? Before making a choice, it is usually a good idea to hear what others say about the network. Trustpilot, a consumer review website has rated SurfShark at 9.3 out of 10. An independent security audit by a third party, a renowned security firm, Cure53 has given out excellent results. SurfShark was awarded the Best Newcomer award by BestVPN.com, which has become the industry gold standard for recognizing achievement in the VPN industry. Though SurfShark looks good for a relatively new VPN and provides a lot of features, there are some issues that the company needs to focus on, to help them compete with the market leaders. The apps have fundamental features. It would be helpful to the users if the company upgrades the apps and provides some nice GUI and usability features. Being new in the market, the speed of the VPN is pretty good. But it needs to be seen if the speed comes down with an increasing user base. The current 500+ servers are not enough when compared to other competitors who have servers close to 3000 to 5000. So, the company needs to ramp up quickly if it needs to stay in the competition. However, it has earned a few brownie points with the features it is offering especially at the listed prices. Now that we have listed all the pros and cons of SurfShark let’s recap the need for a VPN and what qualifies a VPN to be the best. VPN’s are meant to be the magic under the hood that makes internet browsing secure and unrestricted. The most common threat people feel when accessing the internet through public WIFI is security and lack of piracy. 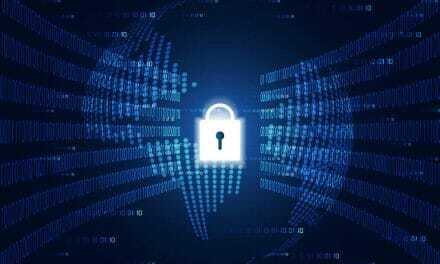 These threats can be overcome by using a VPN service that lets you access the internet by routing your connection through a server and hiding all your online actions. While the internet is uncensored and has no restrictions, various other factors related to geography or policies are censoring the content on the internet. Because of certain geo restrictions, streaming services that users have paid for also get restricted while on the go. This is where VPN’s come to the rescue in bypassing geo restrictions and avoiding government censorship. If you are looking for a good VPN that offers fast and reliable service with a high degree of privacy and security, then SurfShark surely is the one for you! It has incredible speed plus features such as KillSwitch, MultiHop, CleanWeb, no logs, split tunneling, double VPN, ad blocker, an unlimited number of connections and many more features for a reasonable price. Also, worth mentioning is the robust security with military-grade encryption, double VPN and great technical security with no IP leaks. 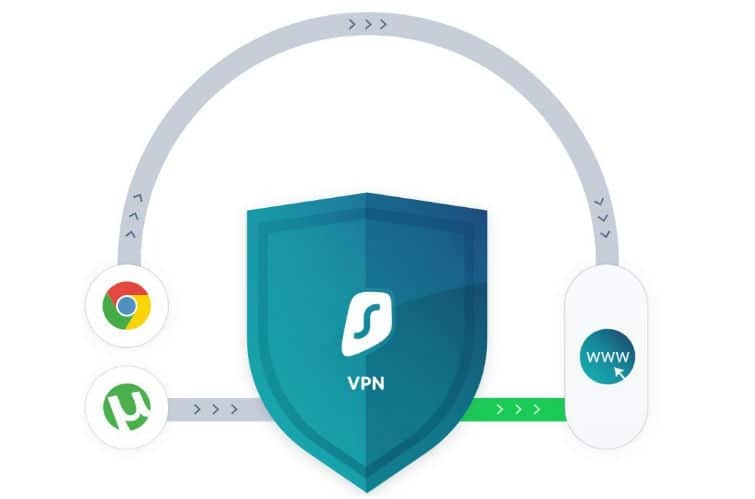 But the best feature of Surfsharl VPN is its offering to allow connections to unlimited devices simultaneously with a single account and ability to unlock popular streaming sites like NetFlix, Hulu, BBC iPlayer, torrents, etc. It is definitely worth trying especially since it has the 30-day money back guarantee. What more can one ask for? Disclaimer: Please note that mentioned links are affiliate links. So, it means that when you purchase through these links, you get additional discounts and we earn a small commission. PreviousHow to Get Rid of a Fever Naturally in 6 Ways? 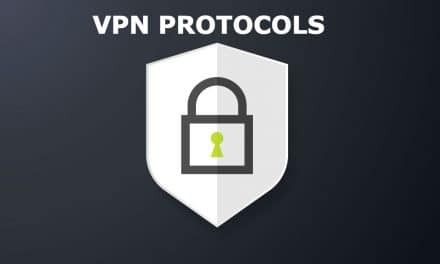 What are Different Types of VPN Protocols?